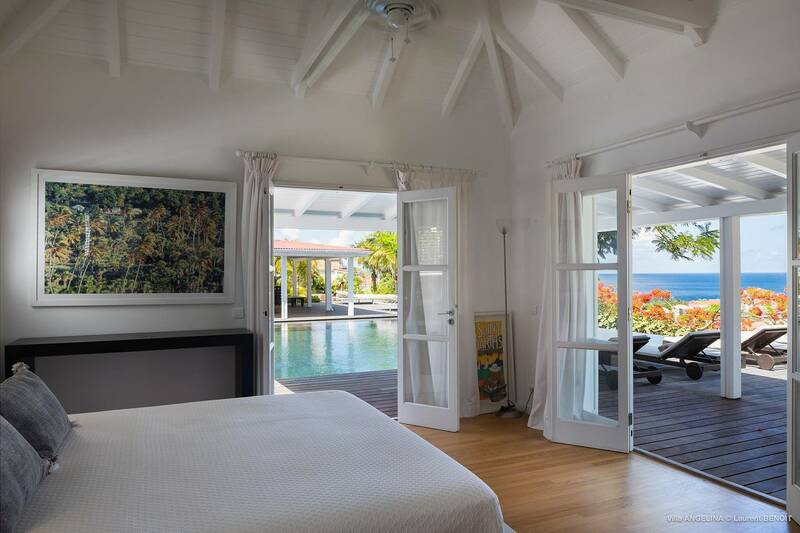 Dream About: Vacationing with friends where all can enjoy privacy and “together-time”. 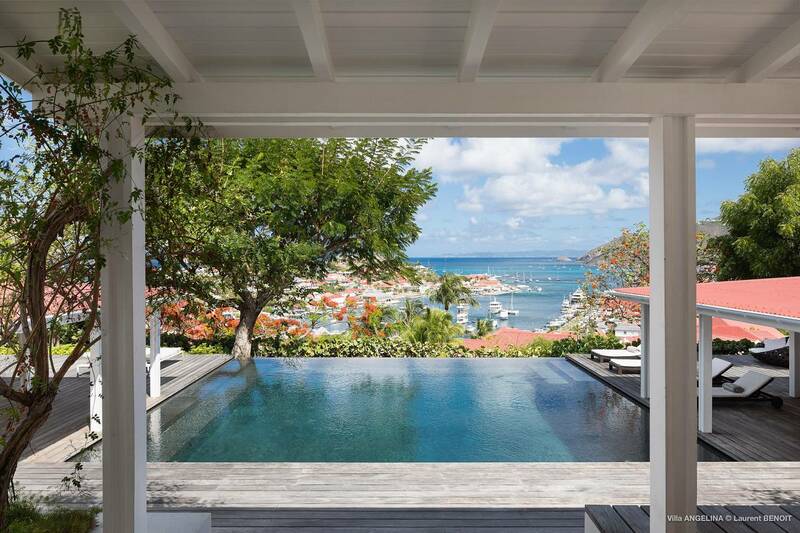 A Gustavia hillside location gifts the luxurious 4 bedroom Villa Angelina with a sensational panorama of the bustling iconic harbor, and beyond to the island of St. Maarten. 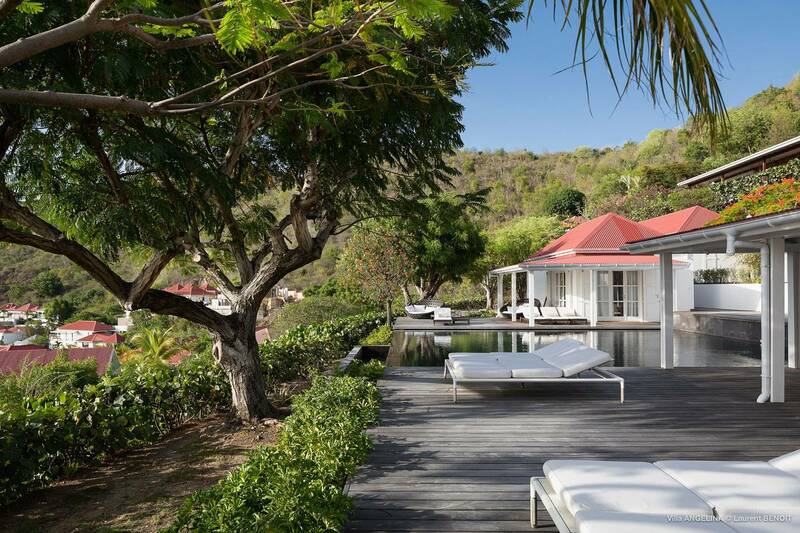 Multiple terraces overlook the lovely pool and provide loads of space for sunning, lounging and alfresco dining. 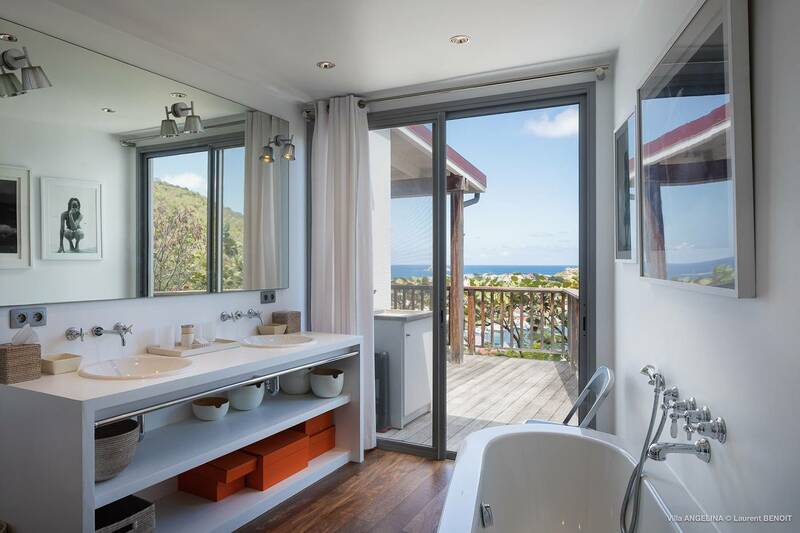 Guests here rave about the gorgeous sunsets! 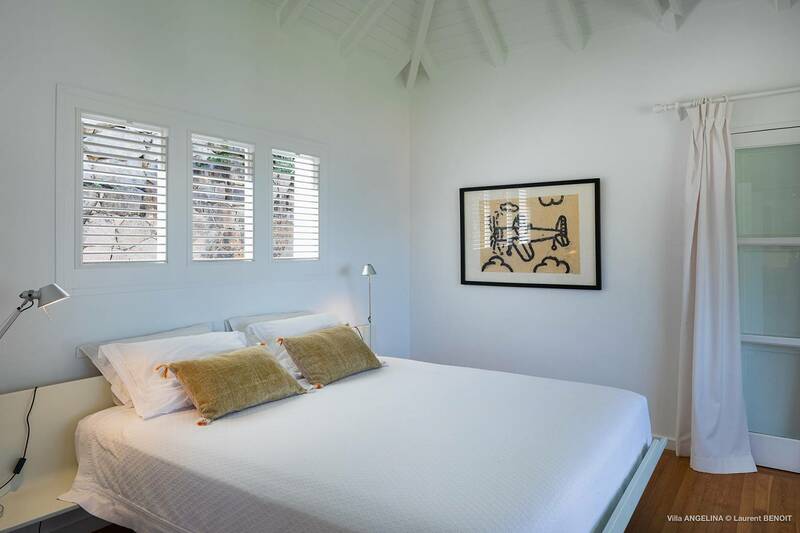 A total of six pavilions meander and privately house 4 en suite bedrooms (3 kings and a twin). 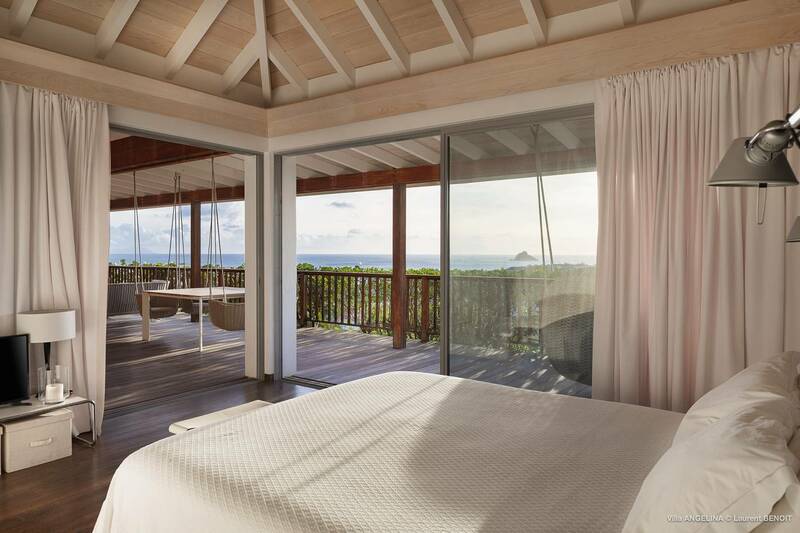 The master suite, the largest of the bedroom pavilions, has a spacious deck and a hot tub with a view. 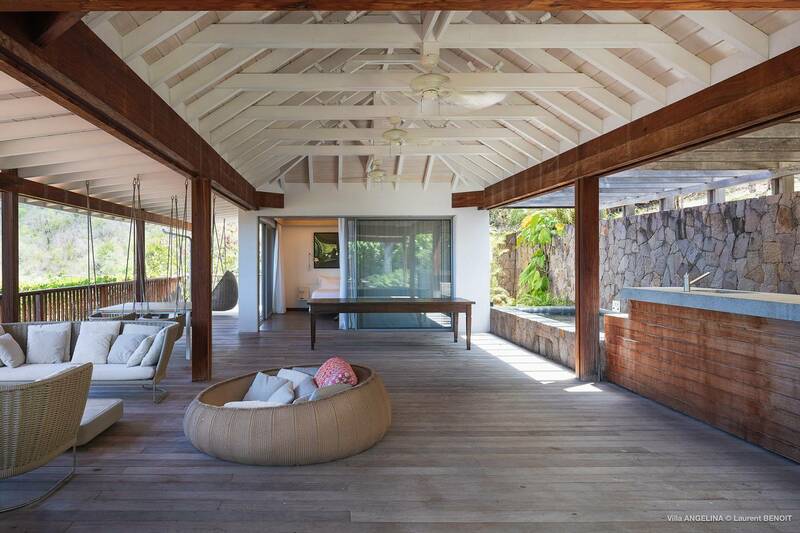 The living room is chic and comfortable – perfect for relaxing and TV viewing - and a separate pavilion houses a well-equipped kitchen and an adjacent dining room as well as a guest bath. 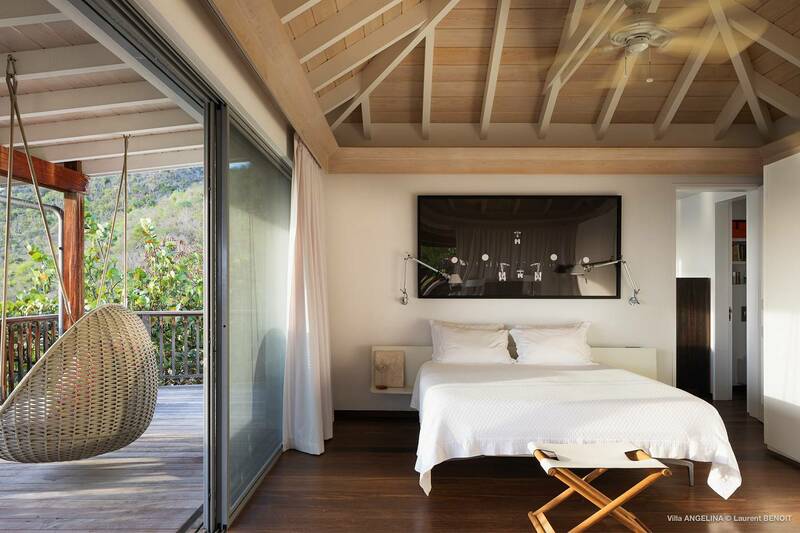 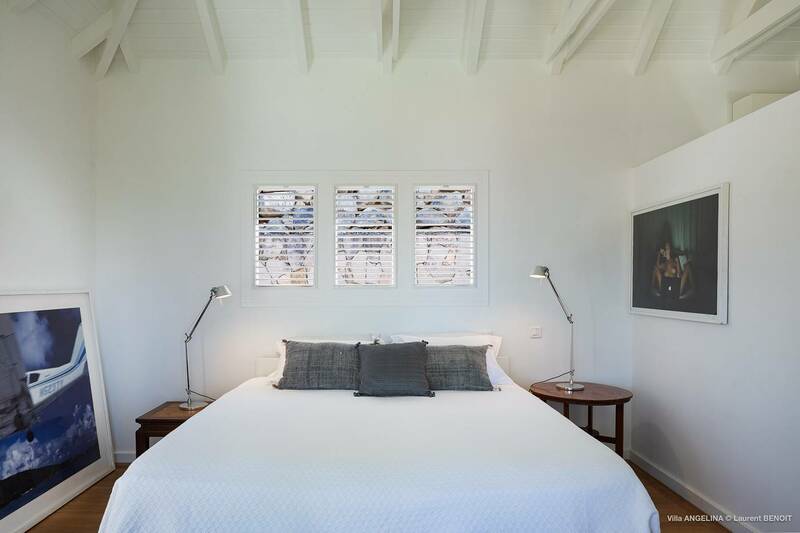 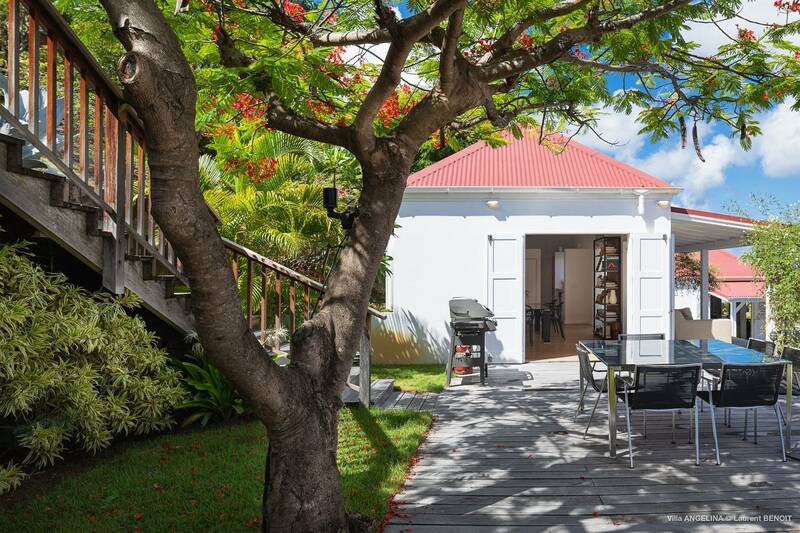 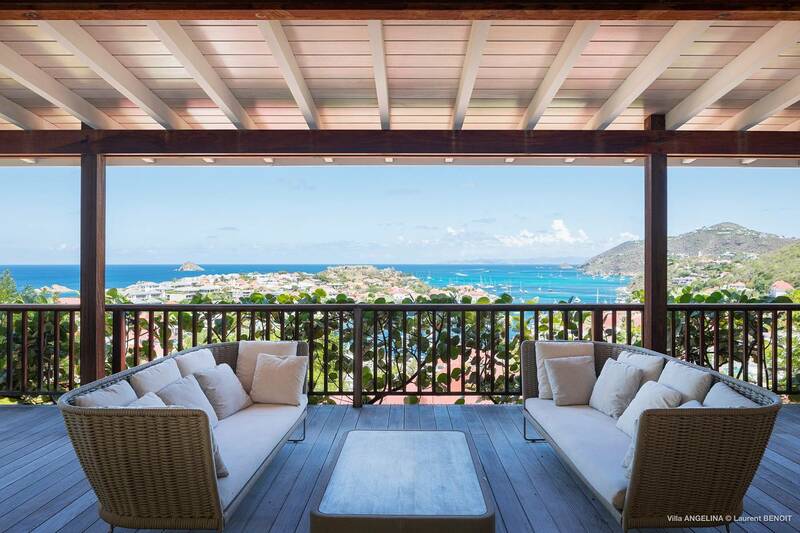 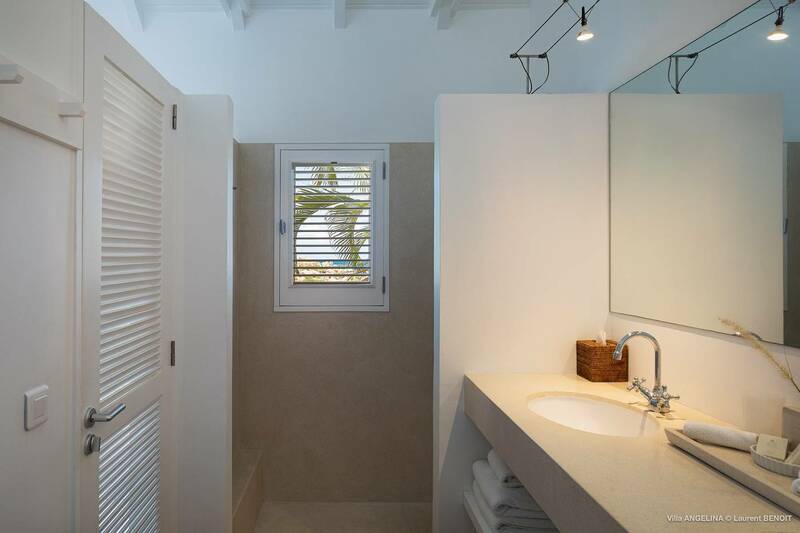 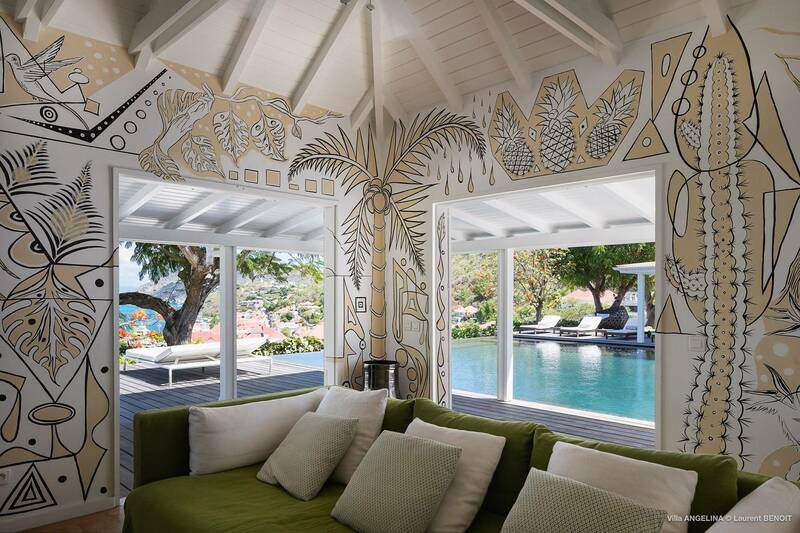 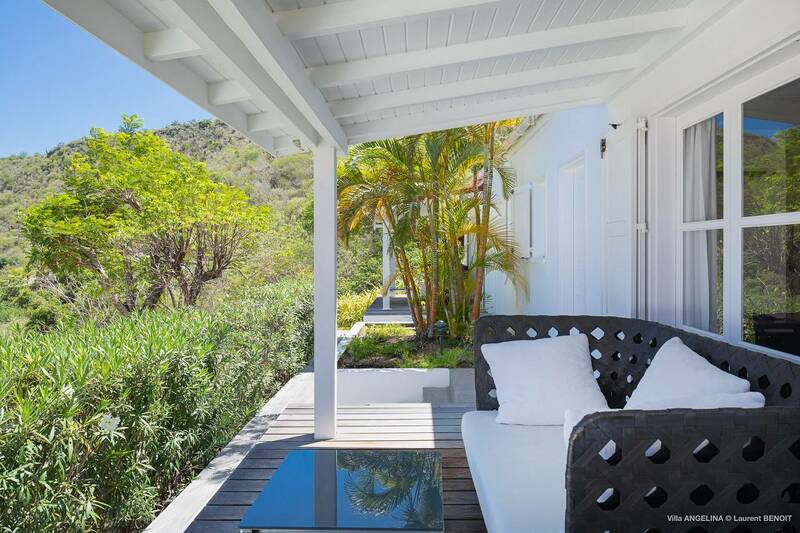 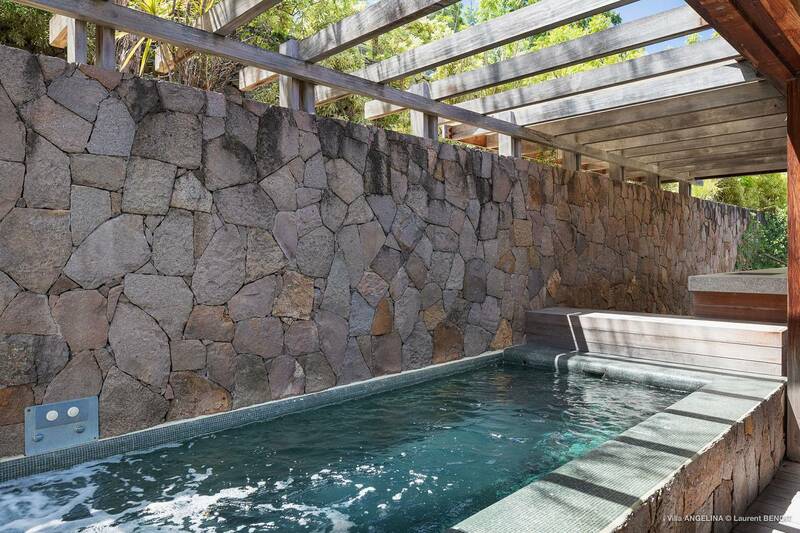 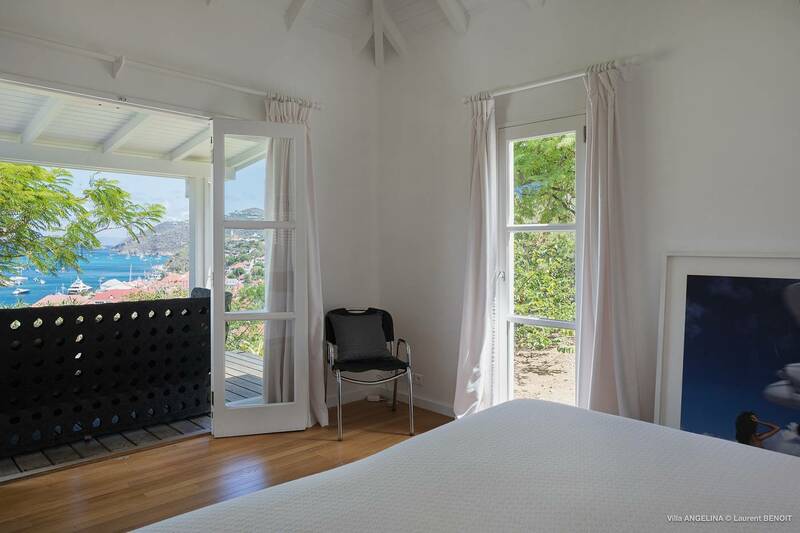 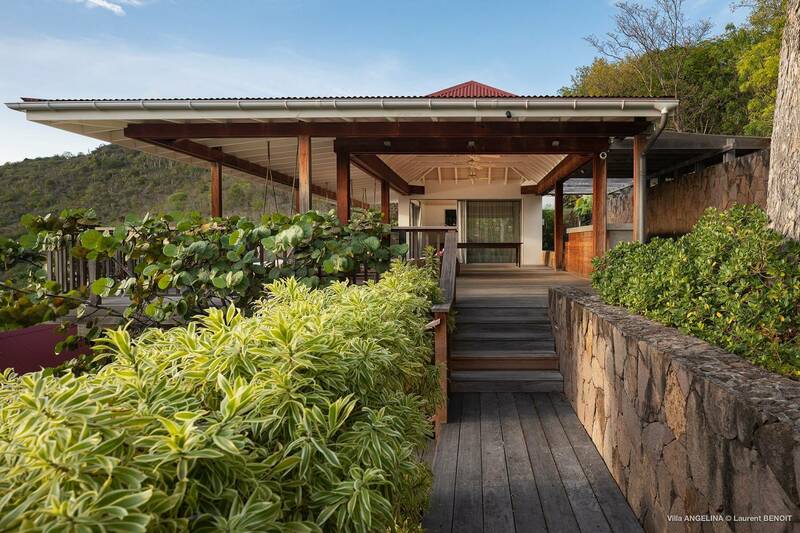 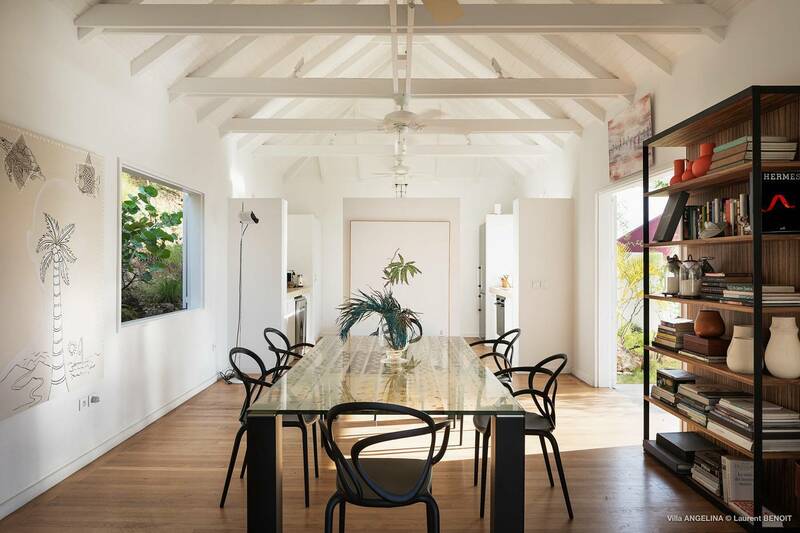 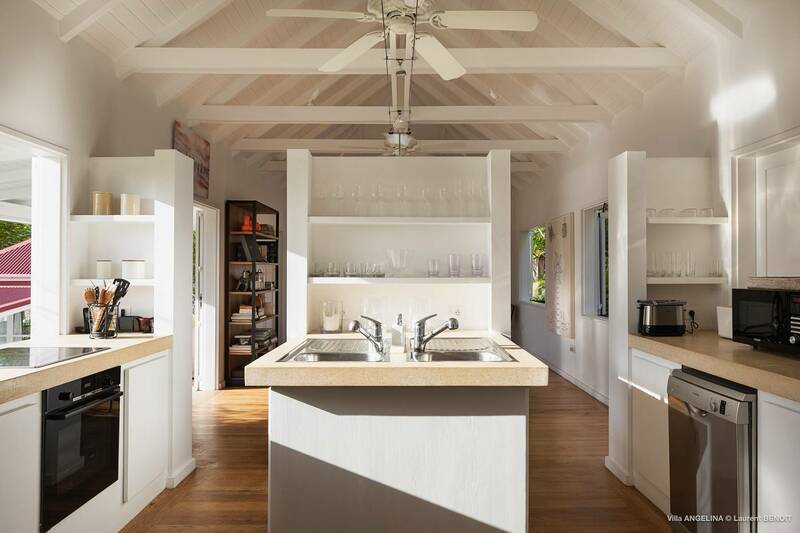 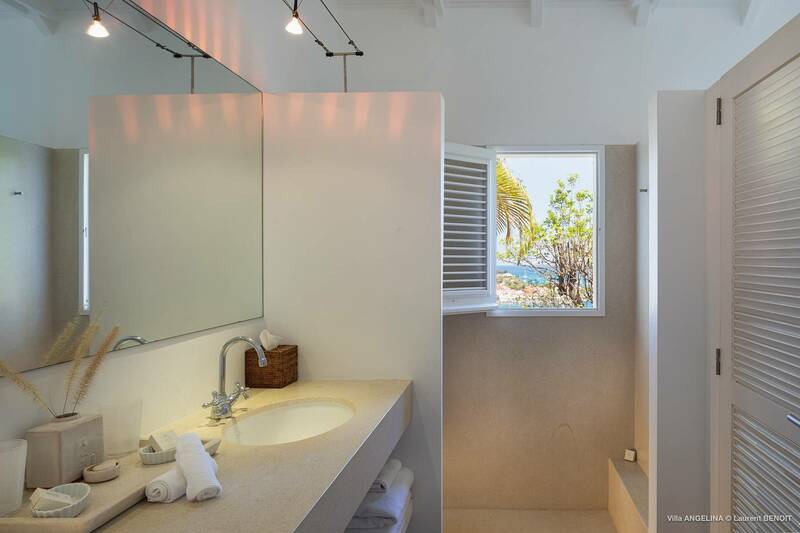 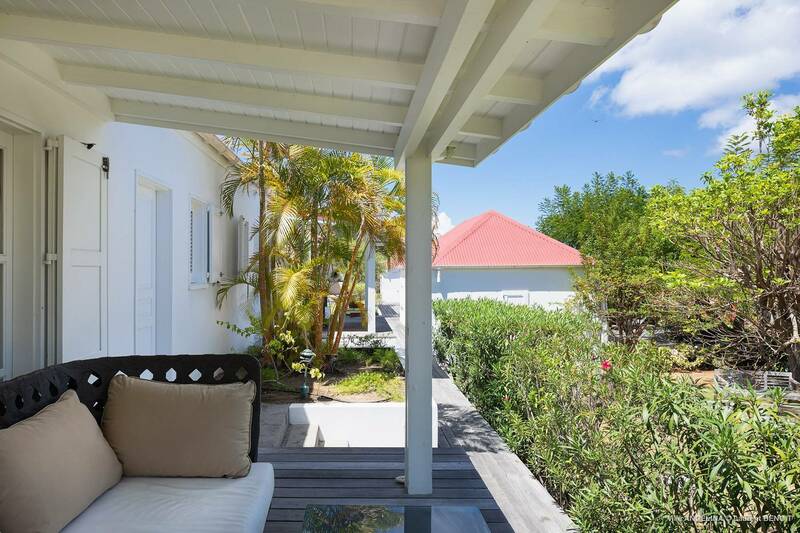 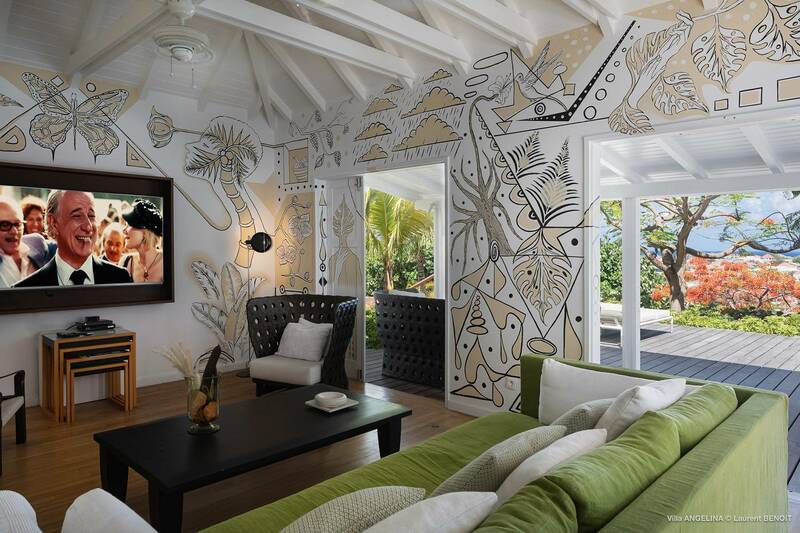 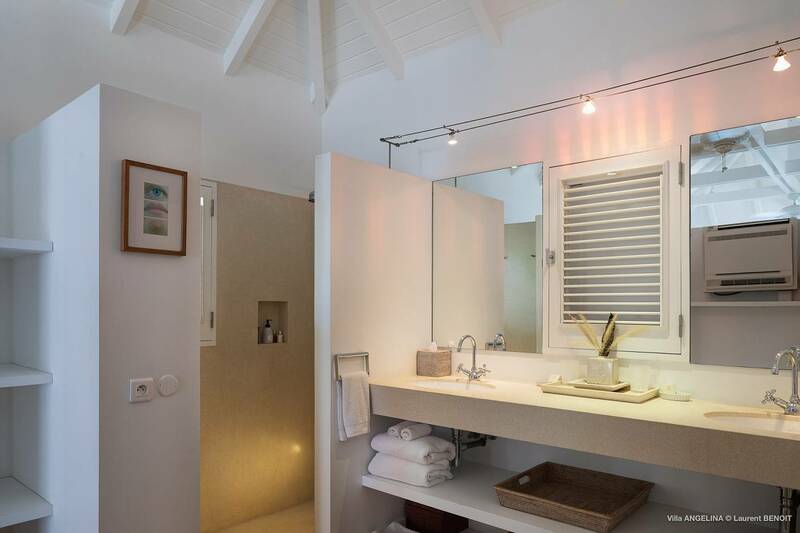 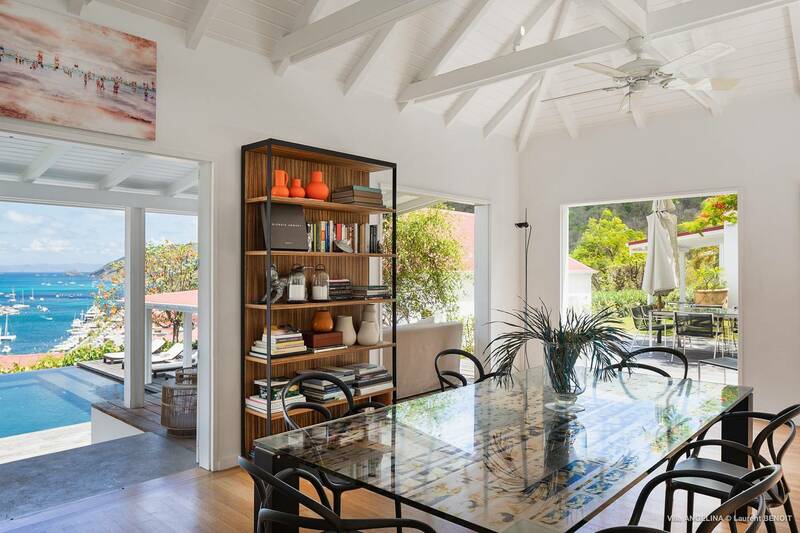 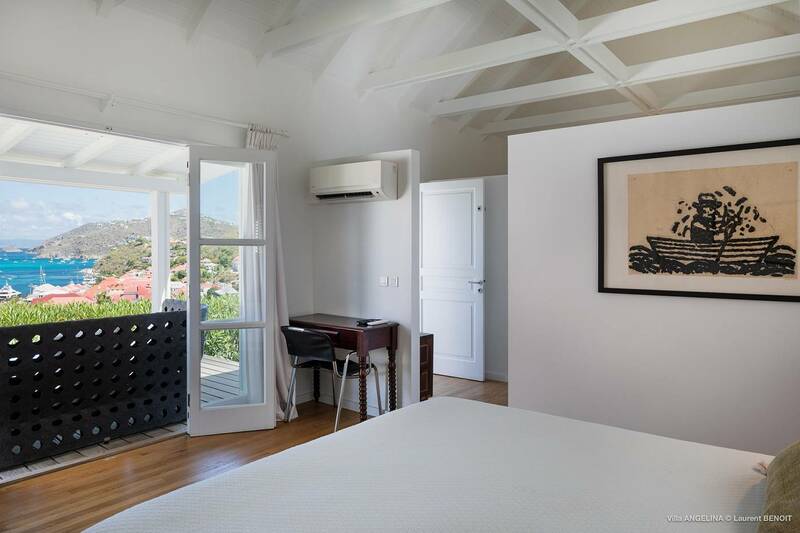 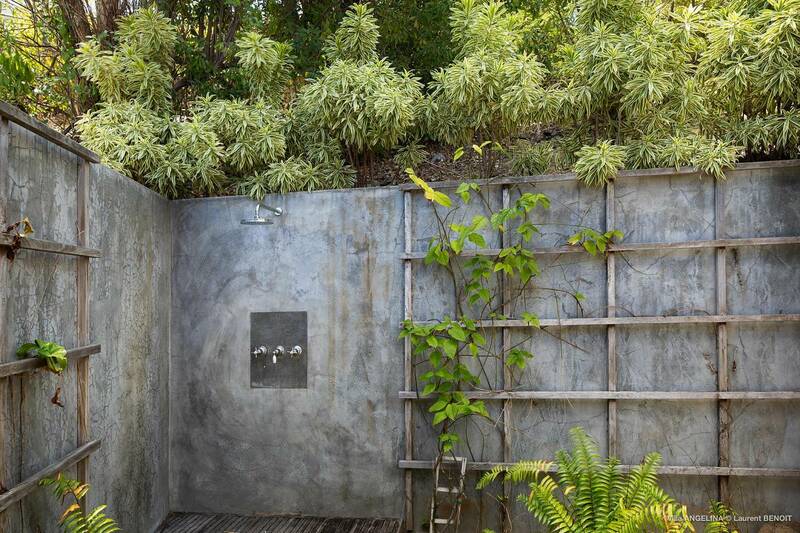 This unique property is within walking distance of Gustavia’s bistros and boutiques and popular Shell Beach. 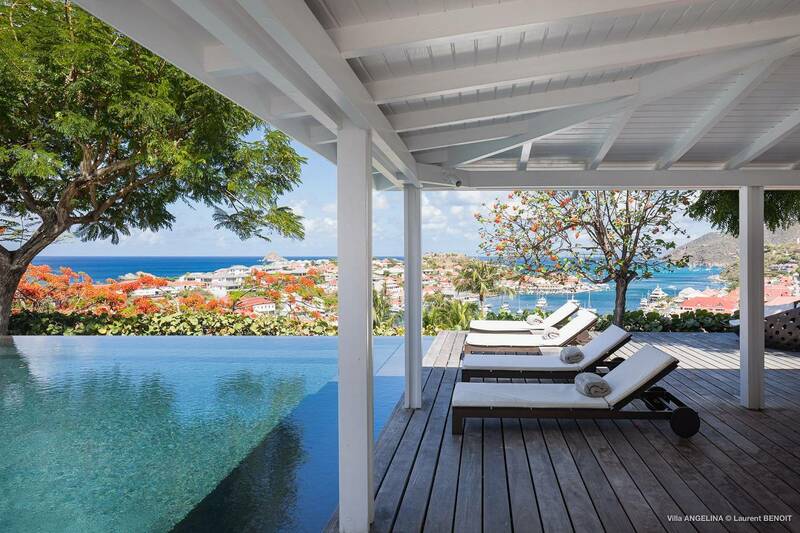 Being able to walk down to the harbor. 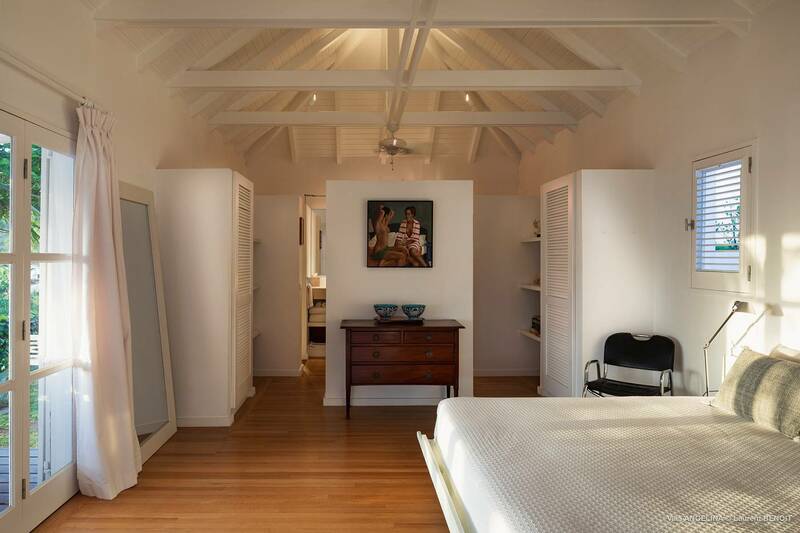 Six pavilions house 4 en suite bedrooms, living and dining rooms and a kitchen. 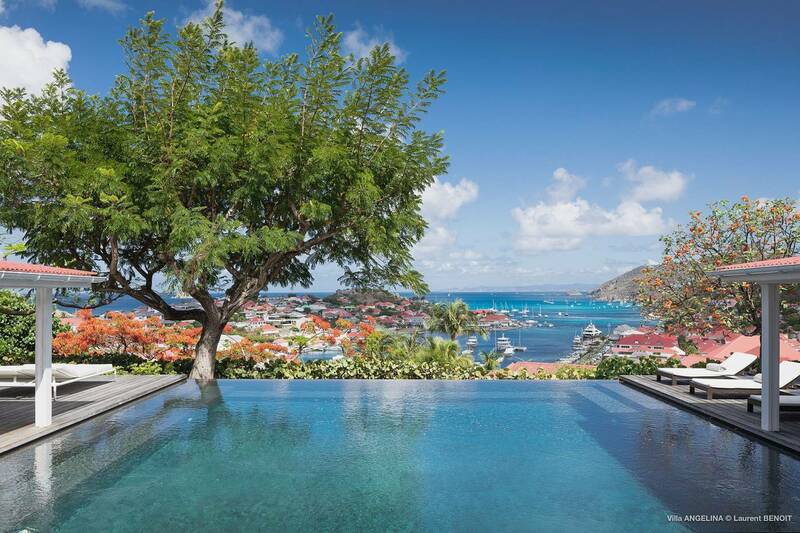 Multiple terraces overlook the pool and WOW view.